The National Organization of Rare Disorders (NORD) is dedicated to individuals with rare diseases and the organizations that serve them. NORD, along with its more than 260 patient organization members, is committed to the identification, treatment, and cure of rare disorders through programs of education, advocacy, research, and patient services. The PRP Alliance is a member of NORD. ❋ Access for all patients to the diagnostics and therapies that will extend and improve their lives. ❋ A regulatory environment that encourages development and timely approval of safe, effective diagnostics and treatments. ❋ The PRP Survival Guide has agreed to assist NORD in the revision of the information about PRP contained in NORD’s Rare Disease Database report. Upon completion, NORD will publicize the fact that an update has been done. According to Mary Dunkel, Vice President of Educational Initiatives, “The revision of a Rare Diseases Report tends to drive traffic to the report. Since our PRP report links to the PRP Alliance, that would also drive traffic to the Alliance website. Mary further notes that approximately one million visits are made each month to NORD’s website and 85% of visitors go first to a Rare Disease Database report. Marsha Lanes, NORD’s medical editor will serve as liaison and provide PRP Survival Guide managing editor Bill McCue will guidelines for the revision. 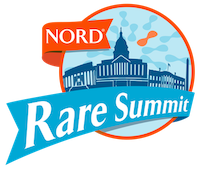 ❋ Participate in NORD’s Rare Diseases and Orphan Products Breakthrough Summit (October 16-17). Historically the NORD Summit has featured over 20 speakers from the FDA, participation from over 80 patient organizations and the Pharma/Biotech industry’s foremost experts in orphan product innovation, investment and commercialization. The 2017 NORD Summit is your opportunity to collaborate with the top leaders from the FDA, National Institutes of Health, industry, patient groups, payers and research institutions to address the progress and innovations in rare disease diagnosis, treatment, patient engagement and market access of orphan products. ❋ Participate in Rare Disease Day 2018 (February 28). The PRP Alliance domain was registered in February 2013 in solidarity with Rare Disease Day. ❋ PRP patient advocates should subscribe to the NORD newsletter. SUBSCRIBE NOW. ❋ Support NORD legislative efforts by communicating with lawmakers in Congress. This is can be a tough one for those who who feel disenfranchised. We all need to do more.